The Connect Lite for the Wallee iPad Modular System offers unlimited options for mounting your iPad just about anywhere imaginable. Outfitted with the exclusive Wallee locking-X and dual 1/4″-20 threads on the center back, as well as the outer edge, the Connect Lite offers hundreds of configurations for mounting your tablet. The Connect Lite for the Wallee iPad Modular System offers unlimited options for mounting your iPad just about anywhere imaginable. Designed and manufactured by Tether Tools, exclusively for the versatile Wallee System, the Connect Lite adds to the robust line of accessories available for this system. Outfitted with the exclusive Wallee locking-X and dual 1/4″”-20 threads on the center back, as well as the outer edge, the Connect Lite offers hundreds of configurations for mounting your tablet. Connect your tablet to any 1/4″”-20 tripod, swivel arm, vacuum suction cup, EasyGrip, TabStrap, or pretty much any accessory that you can think of to easily attach the iPad or Tablet for easy screen viewing. 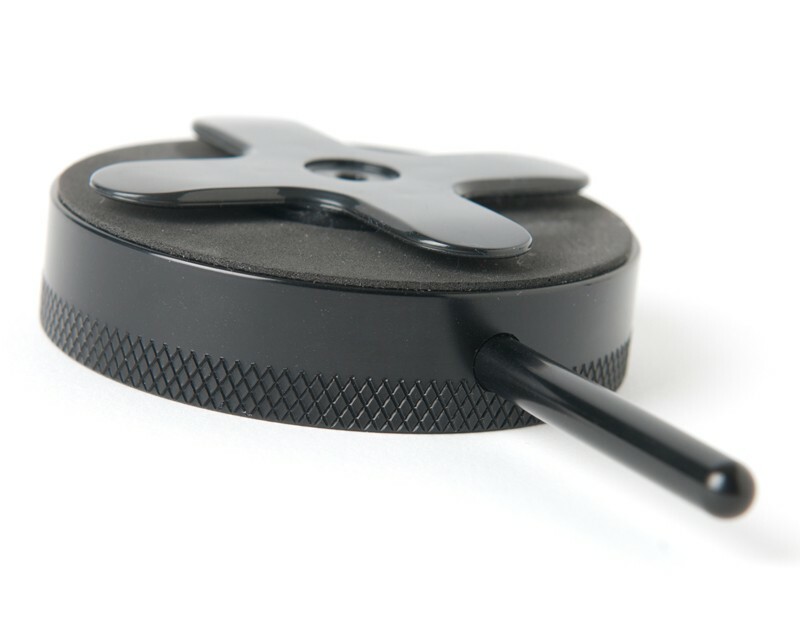 Use the included Easy Rotation Handle to attach or remove the Connect Lite from the Wallee case. Once locked into position, unscrew the handle to expose the additional 1/4”-20 receptor for attaching additional accessories. Made in the U.S.A., the Connect Lite is constructed of lightweight aerospace aluminum. It is available in non-reflective black and is backed by our lifetime warranty.